Cheesemaking is more than an occupation; it is a way of life in Wisconsin. It is the only place outside of Europe with a Master Cheesemaker program. It's no wonder Wisconsin Cheese wins more awards than other state or country! Visit booth #2427 and meet these pioneers, explorers & dreamers. Crave will be promoting their green energy story, including clips from their recent Food Quest segment and the new mural on the factory that tells their farmstead story. Nasonville Dairy, family owned, Wisconsin farmer strong. Nasonville procures it milk supply from 185 + local family farms in the central Wisconsin area. We always feel blessed to be based in the heart of America's Dairyland! Nasonville Dairy pushes the envelope to produce top quality Cheese and Kefir in a wide variety of flavors, styles, types. From traditional, kosher, organic milks we keep in touch with the need of your strong customer base and work to fill their needs. Exciting new retail packs of Feta in Brine and Crumbled Feta flavors. Nasonville has taken steps to bring to market new and updated Feta Cheese items. The brine packed cheese will deliver the authentic Feta cheese to the consumer and the new flavors in the crumbled Feta product line is sure to excite and ignite consumer interest in this strong selling cheese category. Farmstead Kefir will be available to taste and view brand new package designs in 8- and 16-ounce product. If you are not yet familiar, Kefir is a fermented grain - cow's milk based drink loaded with probiotics and the wholesome goodness of 1% milk. We like to call it a milk smoothie, as it tastes delicious, is velvety smooth and lush. Multiple flavors to try! Wisconsin Ale House Cheddar – Creamy Cheddar Cold Pack Cheese Food blended with Wisconsin Beer, great on pretzels and hamburgers. Spicy Beer Gourmet Snack Spread – High quality Shelf stable beer spread, crafted like our traditional Spicy Beer Cold Pack Cheese Food, only able to be out of refrigeration. Dairy Fudge – Cocoa and Colby cheese cold pack cheese food, chocolaty, spreadable, low sugar, high protein; great for graham crackers, vanilla wafers, waffles. Pumpkin Spice – pumpkin spice, cream cheese and cheddar blended to a perfect topper for bagels, waffles and graham crackers. A seasonal item for Pine River. Spicy Beer Cold Pack Cheese Food – Clean Label. Same as our traditional line. Spicy beer, cayenne pepper, garlic and beer perfect for your hamburger, pretzels and even good in tomato soup. A Handcrafted Family Tradition – Established in 1961 in Door County, Wisconsin, Renard's Cheese is a family-owned and operated business that is now on its third generation of cheese makers. Chris and Ann Renard own both of the Renard's Cheese Stores, as well as Renard's Rosewood Dairy where all the cheese is produced. The Renard family is committed to continue the long tradition of producing handcrafted quality, gourmet cheese that is perfectly blended. 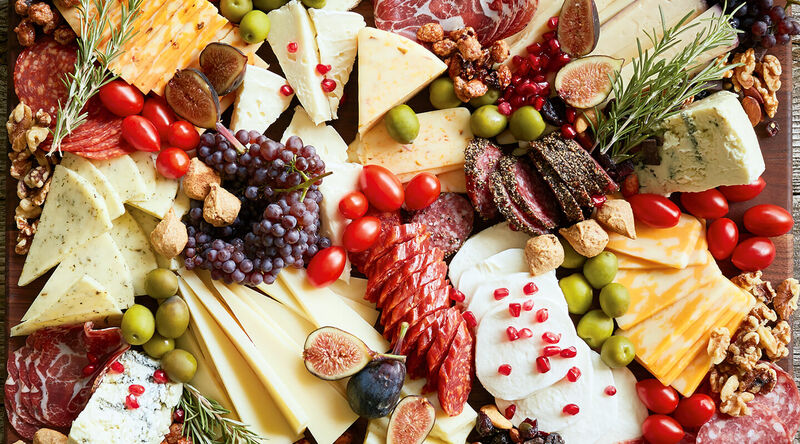 The cheese selections have expanded to include Cheddars, Colby, Farmers, Muenster, Brick, Marble, Monterey Jack, Mozzarella String, Smoked String and over 50 flavor infused specialty cheeses. Tuscan Herb Cheddar – A zesty Tuscan Herb mixture of several herbs including Basil, Garlic, Rosemary, Oregano and Roasted Onion gently blended into our vibrant, full-flavored white cheddar for a delightful experience. Balsamic Caramelized Onion Cheddar – Savory Balsamic Caramelized Onions blended with our classic cheddar cheese is a tempting union of distinctive natural flavors that will arouse the taste buds of all. Maple Bacon Cheddar, Real Bacon with Maple Flavor, skillfully enhancing the flavor profile of a delectable aged Cheddar cheese. Swedish Style Cheddar. Aged Cheddar made with cow's milk and unique cultures yielding a sweet, pleasing flavor with a clean finish. Aged 9 months or more. Natural Hickory Smoked Cheddar Curd. Fresh Cheddar Curd gently smoked to bring a satisfying smoky flavor to a squeaky popular snack. Urfa Pepper Cheddar. Select Turkish Urfa Peppers blended skillfully with our aged Cheddar yielding a complex yet satisfying flavor sensation. Sriracha Cheddar. Popular Sriracha sauce spices blended with our skillfully made cheddar curds, pressed into 22 pound wheels or blocks and then aged for 6 months. Pleasing spicy notes blend with wonderful aged cheddar sharpness. Cherry Cheddar. Real cherries infused into our fresh cheddar curds and pressed into Wheels or blocks, then aged for 6 months. A sweet, sharp flavor with a pleasing finish is the result. Founded in Chicago in 1964 by Mexican natives Gilberto Villaseñor Sr. and Ignacio Villaseñor, V&V Supremo is one of the nation's oldest family-run Hispanic food businesses. V&V Supremo manufactures all its Chihuahua® and Oaxaca cheese in Wisconsin in the traditional, hand-crafted style of Central Mexico. The brand has won numerous awards for authentic Mexican taste and flavor, including 1st place in "Hispanic-Style Cheese" by the American Cheese Society.